Rated 4.1 / 5 based on 14 reviews. Price Range: 220.00 Rs. to 450.00 Rs. Italian Perlato Marble Price | Top Supplier in India | Flooring Patterns & Complete details. Introduction : Perlato Marble is Produced in Italy. Perlato Marble also Produced in Turkey which looks Approx Similar to Italian Perlato Marble.Both are Useful and Good in Quality for Various Residential and Commercial Purpose. But Generally , Italian Marble is More Preferable & Recognized In Stone Industry World-Wide. Perlato Marble is Available in Various Types Like Royal Perlato Marble, Perlato Beige Marble, Perlato Sicilia, Perlato Chips etc which are varied according to the Looks, Quality & Colour of Occurrence. Price Range of Perlato Marble : Starting codexx [Per sq.ft] , varies according to the Quality , Sizes , Colour , Thickness, Origin , Processing , Looks etc. OR also Between Seller to Seller you buying from. Kindly Note, Only Regular Lots are available into this price range whereas Premium Lots Might be available into higher price range than displayed price range. Origin of Perlato Marble : Italy , Turkey. Forms & Sizes of Perlato Marble : Blocks, Slabs , Tiles etc. 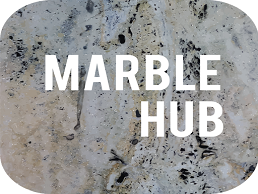 Italian marbles are Popular World-wide, Basically Due to Few few famous Italian marble Products Like Dyna Marble, Botticino Marble , Perlato Marble, Italian Statuario Marble Or Satvario Marble, Carrara White Marble ,Perlato Sicilia Marble, D- Martino Marble , Thassos White Marble, Travertines , Onyx, Arbecasto Marble and Calacatta Marble, etc. But Perlato Marble is in huge demand & are very much Used by the Consumers for their Home Because It is Available In Economical Price Range & Looks Very Beautiful also in comparison to Other Italian Marbles in This Price Range. YOU WANT TO SUGGEST ANY PERLATO MARBLE SELLER TO US. Are u a Perlato Marble Seller ?